Maggie waters the Emily Dickinson roses. I remember the day that Mrs. McQuillan introduced the Literary Garden to my sophomore Honors American Literature class. There were definitely mixed reactions; some of us were confused, some were open to the idea, and then there were the students who were absolutely obsessed with the idea, one of those students being myself. I also remember Mrs. McQuillan sharing her ideas with the class, but what I remember the most was the passion and enthusiasm that she felt towards this idea of a garden that would both display nature in literature in a new and unique way, but also bring her students closer together not only to this nature, but to each other. These feelings were completely contagious, and soon I started to feel the exact same way. It's bloody butcher corn time, thanks to the Old Manse! The garden started to flourish (literally). Ideas sprouted, plants were planted, and the garden was off to an amazing start. Soon after that, the Literary Garden “club” was put into action. I thought it was a great idea, so obviously I decided to join! We spent the first year as an “unofficial club,” which was unfortunate at times, considering we weren’t able to do half of the things the normal clubs were able to do, but the 15 of us had a great time that year nonetheless. I looked forward to going to every meeting just to be the in the presence of Mrs. McQuillan and my fellow classmates who had the same love for the garden as I did. After that year, I knew that the garden was going to become a huge part of my life. It wasn’t even a question whether or not I was going to join the Literary Garden Club during my senior year. I knew that if I was going to do any extracurricular activities or clubs, I was going to make room to care for the Literary Garden. What I didn’t know was that the club was going to grow significantly. The club that once had only a dozen people each each meeting would soon have over 30 new members. The first meeting we had around 50 students... I was SHOCKED. I was expecting the same 15 or so students to gather up for the first meeting and it would be like the previous year until we publicized the club more, but man was I wrong! That day was the day I knew that the Literary Garden Club was going to be something more than just 15 students in a room, but a brand new huge family. I decided to run to be the president of the Literary Garden Club for a couple of reasons. The garden had grown significantly, and Mrs. McQuillan couldn’t continue to do it all on her own. Plus, I had so many new ideas for the garden, and I really wanted to make an impact on the school. When I was elected to be the president, I really had no idea what to expect. I had never really had any significant leadership roles in a club before, and I knew that the responsibilities would be endless, but I was up for that challenge. Being president has been everything I have imagined and even more thus far. We threw our first Haunted Literary Garden Haunted House at the end of October, and it was a huge success. The First Annual Haunted Literary Garden! I proudly watched members of all grades come together to create something magical. American authors, living and dead, mingled in the garden for some horror and comedy. I also watched everyone come together to decorate a window for U-Matter week with less than a two day notice, and everybody had a great time. It has been a terrific start to the year, and every time we all come together it makes me really excited to begin planning more activities and fundraisers for us to do. fellow students during U-Matter week. 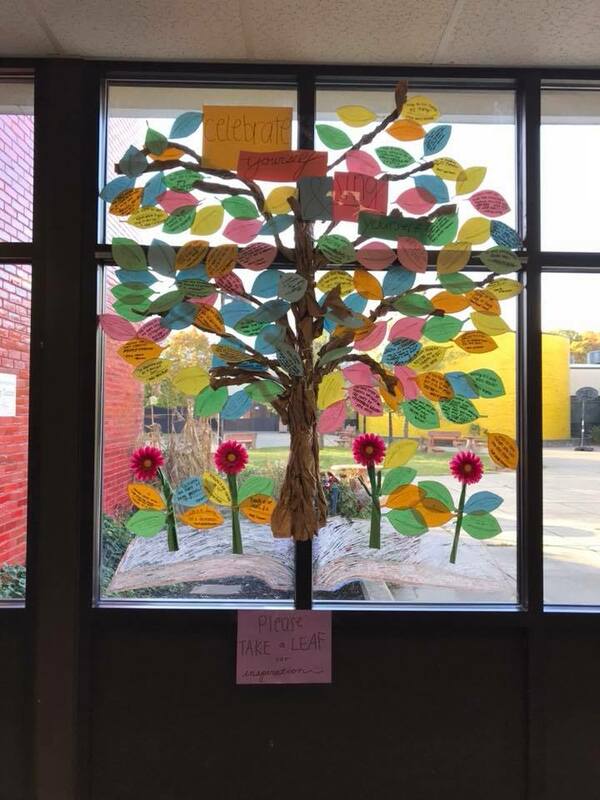 The Literary Garden Club is truly much more than just your typical club; we are a huge family full of people all ages who are just trying to make West Bloomfield High School a better place. Although there have been some stressful moments and some mild bumps in the road, everything is coming together so amazingly, and we have so much more that we want to do. I’m so grateful and honored to be the first president of The Literary Garden Club, and I know that the rest of the year is going to be incredible.